April 17th. 1975. That was the day that childhood stopped in Cambodia. It was the day that the Khmer Rouge entered the capital, Phnom Penh. People cheered, yet people were unsure. They wanted rid of the corrupt, incompetent US supported Lon Nol regime, they wanted the Vietnamese out of the parts of Cambodia they had invaded, and yet they were already afraid of the Chinese backed Khmer Rouge. They were right to be concerned, as in the next three years the Khmer Rouge committed genocide on an unparalleled scale. The revered Prince Sihanouk led Cambodian independence from France in the 1950’s, only to be overthrown by Lon Nol, in 1970. Sihanouk’s desire for an independent Cambodia alienated the USA, who also made major policy errors. In 1969 the US secretly started bombing Cambodia in an effort to dislodge the Viet Cong, killing thousands of innocent Cambodians. Later, Sihanouk heralded the 1975 Khmer Rouge victory from his Beijing base-in-exile as a “triumph over Imperialism”. In the 1980’s, the world condemned Vietnam’s 1979 take over of Cambodia – even though it stopped the Khmer Rouge genocide. Cambodian Hun Sen, today’s Prime Minister, had defected from the Khmer Rouge in 1977, and helped lead this effort – only to be ostracized by the world. The UN would not give his government Cambodia’s UN seat, preferring a Sihanouk led coalition which included the Khmer Rouge. Thai Generals supported the Khmer Rouge in their guerilla resistance against the Cambodian Government and the Vietnamese, and did business with them into the 1990’s. For decades, the average Cambodian was hard pressed to figure out who was on their side, and who was against them. Right there is the tragedy of Cambodia – it has always been the football field of Asia. Within 24 hours, the Khmer Rouge emptied the refugee-swollen streets of Phnom Penh. It was declared Year Zero, and one of the most vicious attempts at transforming a society began. Anyone with an education was suspect, and often killed. Anyone wearing glasses was suspect, and often killed. Anyone speaking a foreign language was suspect, and often killed. Doctors and teachers were special targets, as Pol Pot led the Khmer Rouge to create a subsistence level agrarian society, inspired only by fear. There was no shortage of rice – it just was never distributed to the starving population. There was no education. No administration. Nothing. We have a friend who had a gun held to his head for being smart enough to feed himself with leaves and berries. His mother had taught him. He survived, but he lost 50 members of his family in 3 short years, including his father. More about this friend later. Eventually the paranoia of the regime turned in on itself. Members of the Khmer Rouge fell from grace, and died. The infamous Tuol Sleng school became a suburban torture and killing zone – at its height, May 27th, 1978, meticulous records show that 582 inmates of this small school people died in a single day. 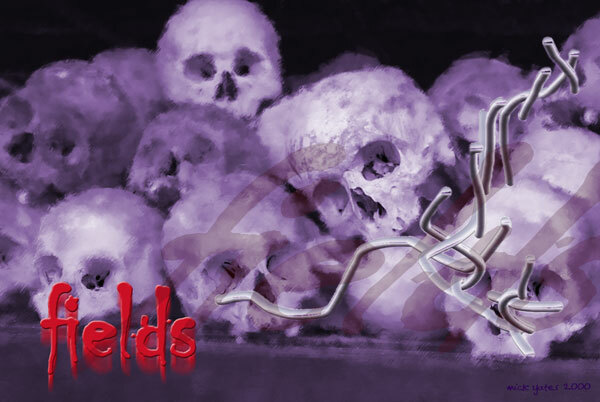 They were taken to the killing fields. Of 12,273 inmates of the prison, 12 are believed to have survived, although only 7 have come forward. They lived because they had some “useful skill”, like making pottery busts of Pol Pot. It should be noted that current work to identify the prisoners (for the UN Tribunal) suggests that the number will be much higher than 12,273. No one knows for sure how many people died at the hands of the Khmer Rouge – early Western estimates of 1 million of the Country’s original 8 million population are now being revised upwards to 1.7 / 2.0 million. Probably 200, 000 were murdered, and the rest died from forced labor, malnutrition and disease. What is known for sure is that the Country’s infrastructure and educated population was totally destroyed. Because of xenophobic Khmer Rouge attacks on their Country, the Vietnamese invaded Cambodia in December 1978, and quickly overthrew Pol Pot. A government loyal to Vietnam was installed with Heng Samrin as president. Hun Sen, who had defected from the Khmer Rouge in 1977, was later named prime minister. The Vietnamese were not to withdraw for a decade, due to both their intransigence, and to global politics and neglect. Prince Sihanouk, who had been held in house arrest in Cambodia, survived the Khmer Rouge (although many of his family did not), then moved to their side in opposition to the Vietnamese. US pressure against Vietnam forced an uneasy co-existence between the Khmer Rouge, Vietnam and the survivors of the Lon Nol regime. There was a trade embargo against Cambodia until the 1990’s. In 1987, Cambodian per capita income was estimated to be only $160 annually — ranking 195th out of the world’s 203 countries. Even today (2000) it is only $300 or so. In 1988, the Vietnamese announced their withdrawal, leaving a dangerous power and intellectual vacuum in Cambodia. They only pulled out after Mikhail Gorbachev withdrew military support from Vietnam from the mid 1980’s. Sihanouk and Hun Sen brokered the peace plan in Paris. It was not until 1991 that this led to free elections, supervised by UNTAC. “4.2 million of the 4.7 million registered voters went to the polls. The FUNCINPEC party, headed by Sihanouk’s son Norodom Ranariddh, won 58 of the 120 seats in the National Assembly; the Phnom Penh faction won 51 seats, Son Sann’s faction won 10 seats, and a right-wing party won the remaining seat. Initially, however, the Phnom Penh government contested the results, and it was not until June 21 that Hun Sen formally conceded that they had lost the election. However, fearing that the country would be ungovernable without some semblance of a consensus, Ranariddh and Hun Sen agreed to work together as co-prime ministers. The Khmer Rouge, meanwhile, began stepping up their attacks against the fledgling government”. Despite an electoral process internationally recognized, the continued fighting between the Government and the Khmer Rouge held back internal reconstruction, foreign investment and tourism. The annual dry season contest between the two sides over Pailin (a provincial city to the west near the Thai border) meant that the gunfire could sometimes be heard at Angkor Wat. In fact, our family heard the shells in the spring of 1994. Year round, one of the world’s largest collections of mine fields caused more death and much fear, as it does today. It is estimated it will take 50 years to completely clear Cambodian soil of all such munitions. Co-prime Ministers do not last for ever, however. In 1995, Hun Sen jailed the half-brother of Sihanouk, who was Secretary General of the opposition FUNCINPEC party. In 1997, supporters of the popular but erratic Sam Rainsy (leader of his own opposition party) , were killed in a grenade attack on a peaceful demonstration in Phnom Penh. Later that year Hun Sen overthrew Ranariddh after fighting between his party (the CPP) and FUNCINPEC in Phnom Penh. To this day, both sides argue about who started it. March 1998, Prince Ranariddh was convicted in absentia of illegal dealings with the Khmer Rouge, although his father Sihanouk later granted him a pardon. In July 1997, Pol Pot had his long time lieutenant Son Sen murdered. This led to internal conflict in the Khmer rouge, and to Pol pot’s trial, at Ta Mok’s house in Anlong Veng. [pictures of Ta Mok’s house can be found in our Anlong Veng gallery]. Pol Pot later died (from a heart attack?) before he could be brought to international justice. April 1998, Anlong Veng and the neighboring areas finally came under Government control – the last area of the country to do so. Khmer Rouge leaders continued to defect to the Government. Democratic elections in July allowed the CPP to form an effective government, with Hun Sen as Prime Minister. Hun Sen made deals with many remaining Khmer Rouge leaders for the sake of national unity. Having seen the area first hand, we also conclude that inclusion of the lower level Khmer Rouge leaders in the legitimate government is probably the best way to deliver peace, although higher level leaders should be brought to justice. In March 1999, Ta Mok, the Khmer Rouge warlord (he was also known as “the butcher”) was arrested at the Anlong Veng market. He was convicted in 2010 at the Cambodia / UN Tribunal, and is imprisoned for life. In April 1999 Cambodia became a full member of ASEAN. This followed years of being shunned by ASEAN – first, as a threatening communist domino, and later as an illegitimate government. Life expectancy in Cambodia was 48 (1998), and literacy estimated at 65% – although some estimates in some areas go down to 35%. Infant mortality was 90 per 1000 births (1998), and GDP per capita is US$290 (1997). The population is about 11.4 million, 78% of which is rural. School enrollment for children under 7 years old is 65%, and much lower in the northern districts. In the last area of Cambodia to be at peace, the “reconciliation area”, there are about the 62,000 children under 15 – in the districts of Anlong Veng, Trapang Prasat, Angkor Chum and Varin. The infrastructure, destroyed in the 1970’s has been kept minimal by the Khmer Rouge. There was only one school building in Anlong Veng when the Khmer Rouge left, but it had no furniture or books. In 1998/1999, about 13,000 children received some form of schooling, usually from teachers who, whilst dedicated, have little education themselves. The teachers previous schooling was mainly Khmer Rouge propaganda, and how to make war. “Nobody comes away from Cambodia without a measure of admiration and affection for the inhabitants of this beautiful yet troubled country”.